flexible felt of organic fibers, impregnated with an asphalt saturant. Line markings are placed on the top surface for ease of installation. A roofing felt used as an underlayment beneath fiberglass and asphalt shingles, wood shakes, tiles, and otre sloped roof coverings. It helps to stop leaks caused by wind-driven rain. is a premium, SBS modified, granule surfaced, polyester reinforced, self-adhesive modified bituminous cap sheet membrane. is a SBS modified, fiberglass reinforced, self-adhesive modified. 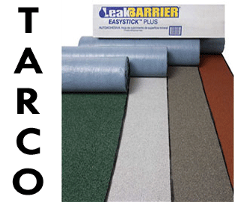 is a extremely durable high performance asphalt saturated polyester nailable base sheet. 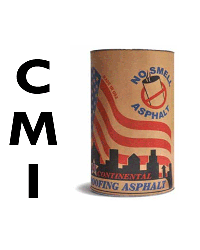 United Asphalts produces four types of built-up roofing asphalts and No Smell Asphalts. All products are tested on a daily basis. Each carton provides safety information. Elastoflex S6 membranes are high quality SBS modified asphalt roofing membranes specially designed for hot asphalt, cold adhesive or heat welding applications. Reinforced with a superior polyester membrane,the Elatoflex S6 exhibits exceptionaltensile strength and puncture resistance. Owens Corning Mineral Surface Roll is the economical solution for any low-slopped roof. Because it's constructed of a hardworking Fiberglas mat, it lasts longer. Mineral Surfaced Roll lies flat, so it protects against weather and helps resist moisture. Available in a wide range of popular colors.